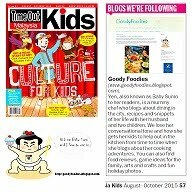 Food & Travel Blog by Baby Sumo - Restaurant and hotel reviews, recipes, and more. In 2013, the Malaysian government announced that the electricity tariff would rise by an average of 14.89%. This rising cost of electricity will increase living expenses significantly for a vast number of households across Malaysia. It has therefore become necessary for individuals and families to find ways to reduce their electricity consumption. "We'll just cut down on our electricity use," many could be heard saying in response to the news. But with the recent spell of sweltering hot weather, this is proving easier said than done. Energy saving appliances are the way to go, especially with appliances that require higher energy consumption such as air-conditioners (AC). 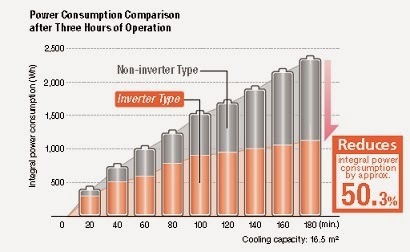 Brands such as SHARP provide inverter AC, which drastically reduces energy consumption when used in energy-saving operation mode. Thanks to inverter circuitry, which modifies and maintains room temperature by switching between high and low operation modes, instead of switching it on and off completely as non-inverter models do. Additionally the inverter model reaches the target temperature quickly (1.5x faster than non-inverter models), enabling comfortable, even temperature control. After three hours of operation, the integral power consumption is reduced by a staggering 50.3% approximately. Sharp's inverter AC also uses R410 A refrigerant which has no adverse impact on the ozone layer, bearing in mind our collective responsibility for the planet we inhabit. 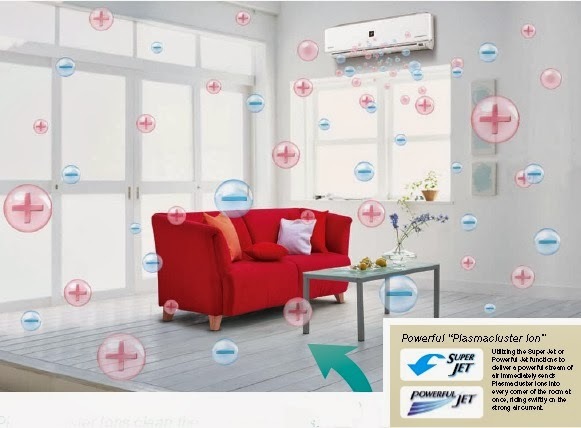 Furthermore, SHARP ACs also come with the unique Plasmacluster Ion air purifying technology which uses positive and negative ions to clean the room's air while removing suspended airborne mold and viruses. According to research, plasmacluster ions can reduce up to 99.7% airborne viruses, resulting in cleaner, healthier air. SHARP ACs also come with "Nature Wing" fan blades, which are modelled on the design of bird wings for increased circulation efficiency and maximum energy efficiency. You can choose from several controls to match your situation - Super Jet (powerful, strong airflow blowing downwards), Powerful Jet (powerful airflow directed straight to the body for instant cooling), or Gentle Cool Air (airflow throughout the room). 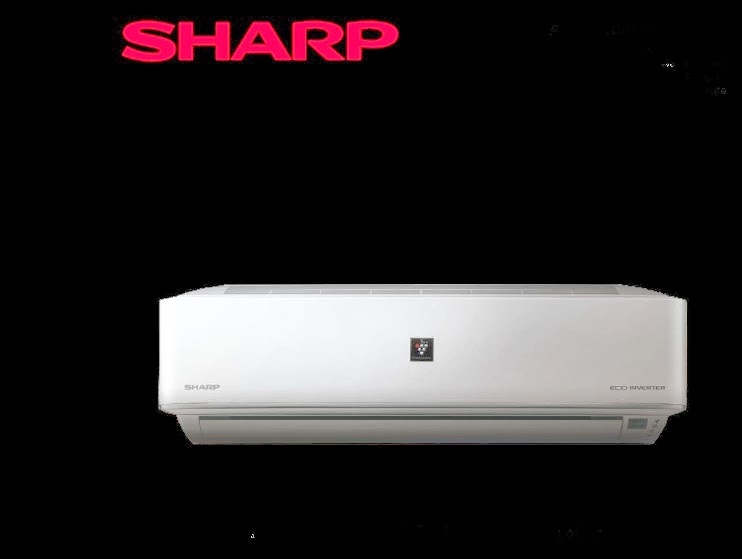 SHARP offers a wide range of ACs to suit everyone's needs, including inverters and non-inverters (Comfort Eco series) with the option of having Plasmacluster Ion technology. 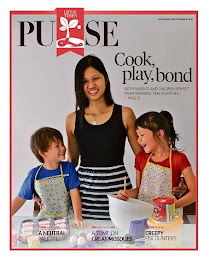 The full range of products can be viewed on SHARP Malaysia's website. SHARP's dedicated customer service team, A-Force, is on hand to provide helpful advice and speedy service, if required. Yes, newer models are energy savers - good idea to get rid of the old ones. Though better, they consume more electricity. One can also save by using the auto thermostat setting to get the room cool only...no need to be too cold though some love it freezing cold and they hide underneath layers of blankets and comforters. I like that too. Hehehehehe!!!!!! In fact, the new models of air conditioners are more efficient than older ones. In addition, each air conditioner is marked with energy class. It is worth checking whether it is before buying. Sharp having good EER rating compared Panasonic at same cost level. While Panasonic having more features than sharp. if ur concern is only cooling & save electricity in long run then go to Sharp. Please drop any comments or questions you may have here. Thank you so much for reading! Hi everyone! 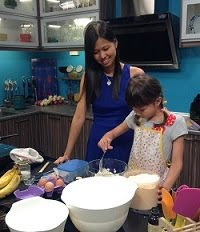 Welcome to my blog, where you can find restaurant and hotel reviews, tried-and- tested recipes as well as gardening and parenting posts. You can contact me on goodyfoodies@live.com if you have any questions or for any media enquiries. You can also send food/hotel review invitations to this address. Jinjja Chicken, The Gardens Mall: For Great Halal Korean Food!